When looking to talk about enlightenment, I think it is first important to define it. Enlightenment can mean a lot of different things to different people, how they personally define it. 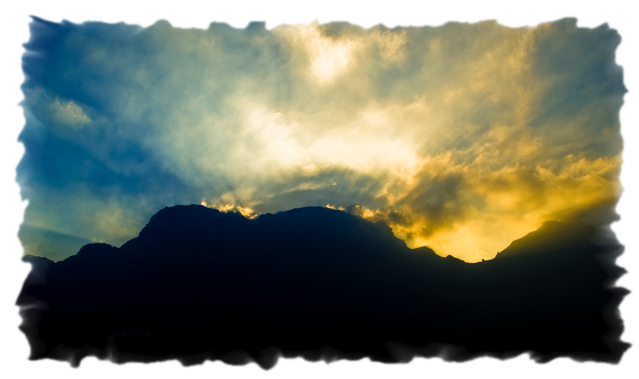 Enlightenment can be defined as the action of enlightening or the state of being enlightened. If we go one step further we will see enlightened to mean: having or showing a rational, modern, and well-informed outlook. Basically, when one is enlightened they are wiser, open-minded, understanding, gain insight, are aware, and well-informed. If you are seeking to open your mind, gain understanding of things around you, and broaden your horizons, look no further, crystals can help! 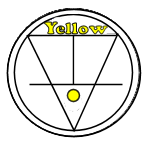 When you’re looking to obtain enlightenment, the color of sunshine, happiness, and warmth, yellow, is where you should start. Yellow is the color of the coming of the sun and the warmth it brings. It is the color of the bright days of early summer, and as the sun high in the sky lights up the landscape, its yellow color ray brings us the power of enlightenment, lighting up the landscape of our search for knowledge. It is the color of the summer solstice ushering in the bright time of long days, warm temperatures, and sustained vigor. 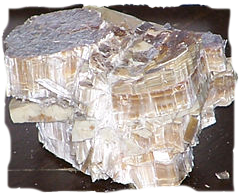 Yellow crystals are used to fulfill needs such as enlightenment, optimism, realism, warmth, and dealing with harshness. Yellow crystals give you the power to solidify new interests and new relationships. They help you to see things in new ways and to become enlightened. They add clarity to your life. They help you wake things up and add zest, optimism, and meaning to your life and relationships. Yellow crystals are used for new efforts, new beginnings, and new projects. 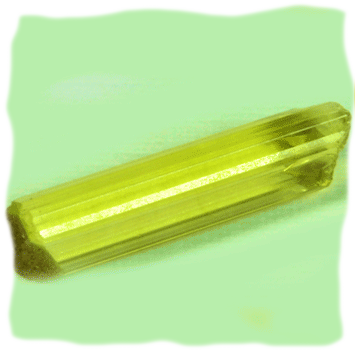 Yellow Apatite is a dual-action stone, known for its positive use of personal power to achieve goals. It clears away confusion, apathy or negativity, then, stimulates the intellect to expand knowledge and truth, which may be used for personal growth or for the collective good. 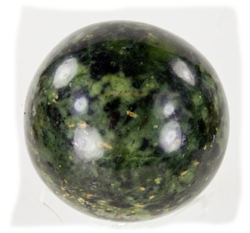 It is a Stone of Manifestation, promoting a humanitarian outlook and service to others. 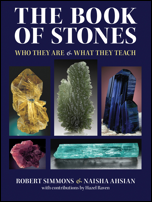 It is also a stone of learning, enlarging one's capacity to take in and process new information, especially information that helps in manifesting one's dreams and desires. A crystal of golden light, Heliodor radiates the warmth and power of sunshine, the illumination of higher thought, and a centered, more vibrant physical well-being. Its name literally translates from the Greek as a gift of the sun. Heliodor invokes the celestial Golden Ray of knowledge and learning, to stimulate the higher mind and enable the brain to function more efficiently. It is a stone of true nobility and selfless leadership, and allows one to make decisions based on wisdom instead of emotion or reaction. It also brings a ray of knowledge and enlightenment in understanding what might be next in our lives. 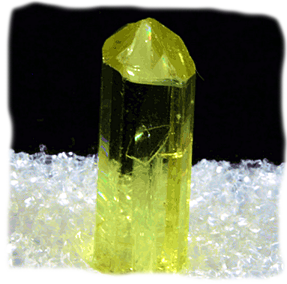 Yellow Apatite enhances creativity and awakens the finer, inner self. It is a stone of the future and brings knowledge to those attuned to it. Heliodor focuses at the Solar Plexus Chakra, the center of gravity for the astral and etheric bodies, and the chakra that allows one to channel spiritual energies into physical realities. 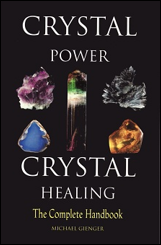 Judy Hall references Chrysotile which can help assist at finding your true self. Chrysotile is a visual stone with ancient writing inscribed upon it that links you to the knowledge of the ages and, below that, your power animal waiting to make itself known so that you can embody it. 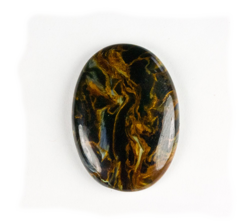 Robert Simmons suggests Pietersite which brings you power over your inner self allowing for you to control your stress and anxiety. Pietersite is an excellent stone for students, researchers, and spiritual seekers studying the philosophies of mysticism. In certain cases, the epiphanies seeded by Pietersite can lead to the state of Samadhi, or spontaneous blissful enlightenment. Michael Gienger recommends Jade which is a talisman of personal protection and one of the joy of nature. Jade enlivens inner images and dreams and awakens hidden inner knowledge. Enlightenment is a wonderful thing to seek and an even better thing to have in our lives. It opens up our minds, expands our horizons, and aids us in gaining more compassion and understanding. The path to enlightenment is a long one and it is different for everyone. If you are seeking to open your mind and except more truth and knowledge, we suggest using brightly colored yellow crystals. Yellow brings us enlightenment, optimism, realism, warmth, and dealing with harshness. We recommend using yellow crystals such as Yellow Apatite and Heliodor. 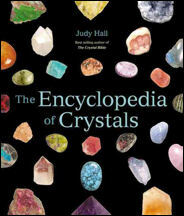 You can also try crystals other authors have suggested such as Jade, Pietersite, and Chrysotile.